BREAKING NEWS! 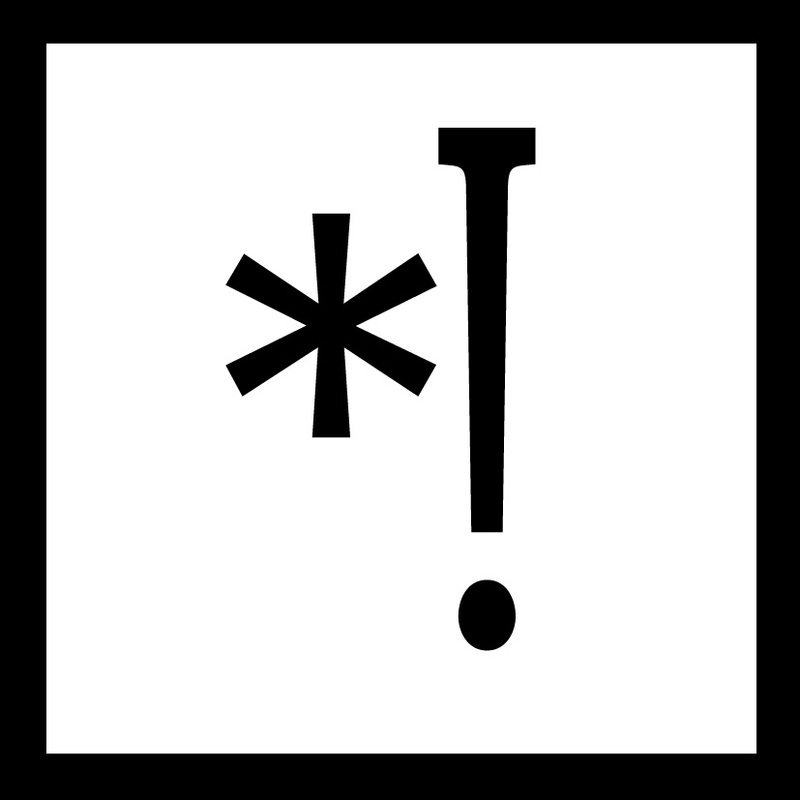 We’ve got a surprise addition to the Interrobang line-up! The Ladies of the Press* invite you to step up to the wonder that is “*! (read: Dingbang)”‘, a “human photobooth” and, erm, fantastical mincing machine where sparkly cardboard box meets DTP press, conjuring one-off prints from images you feed it. Imagine a Surrealist photobooth that has a mind of its own; have your photo taken by a suspicious looking assistant, show the booth some love and attention et voilà! some photos will come out…but we won’t guarantee it will be exactly what you think! Following its debut at the ICA in October, we’re pleased to present a special appearance of our Magic Moments Photobooth at Interrobang festival. Like a proud mum, we’re showing off our latest creation! 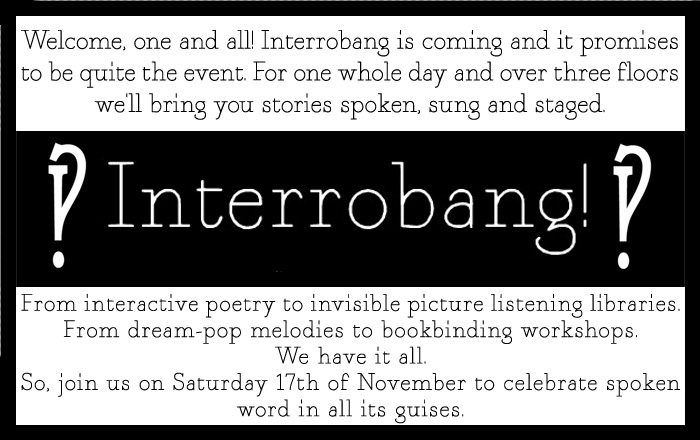 Interrobang is our festival, put together alongside EKO and Alexander Audio, that will be heaving with head-turning spoken word, music and theatre. For a whole day and across all three floors of The Betsey Trotwood (Clerkenwell) we will be entertaining your literary senses. We’ve got a bookmaking workshop, a whole slew of poets, a handful of brilliant storytellers, some of London’s finest bands and on top of all of that, Annexe will be launching a series of minibooks there. That’s right! 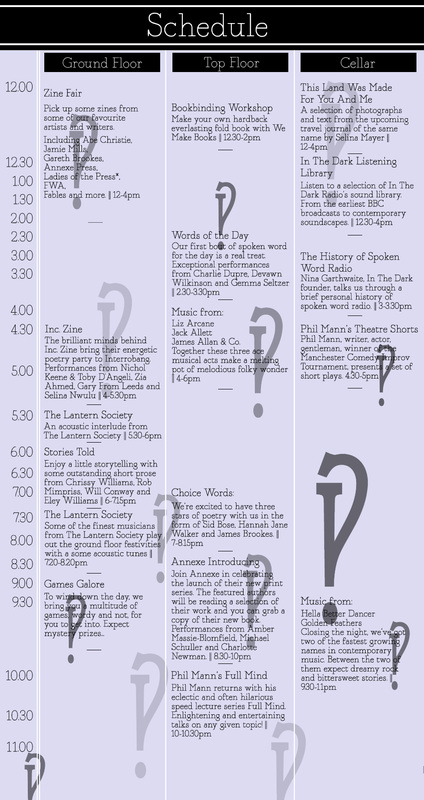 our first proper book launch will be taking place at our first ever festival! It’s a lot to take in. Read all about it at our dedicated site.